The whole family competes on the first six-fold mat slide. 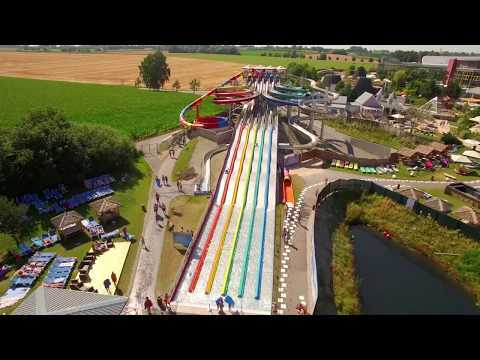 The six slides, each 100 metres long, invite you to slide outdoors in a good mood. Finally the time has come - we have officially opened the summer season! Whether shining children's eyes with wonderful sunshine on our outdoor slides, exciting games on the beach volleyball field or exciting duels at the table tennis tables - here big & small get their money's worth.